Many people live a fast-paced stressful existence in spaces dominated by concrete and other unnatural materials. 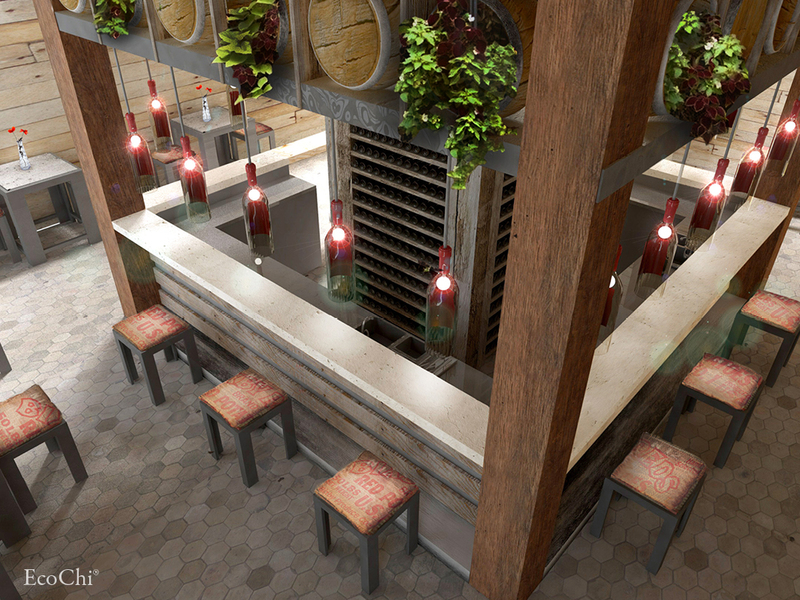 Even in environments where natural stone is used, it can be taken for granted. We focus on its practicality and ability to boost productivity, rather than appreciating its properties that induce well-being. “To be greener, many communities are tight-knit,” explains Debra Duneier of Echochi Design, LLC in New York City. “They’re developed so people can get to a grocery store, beauty salon or post office very quickly.” But such communities distance us from nature and keep us highly stressed, according to Duneier, an expert in purposeful design. An accredited LEED® Green Associate and Certified Eco-Designer, she creates environments using sustainable materials that promote wellness. “Detaching us from nature,” says Duneier, “is like separating a child from their mother.” Like that child will seek to reconnect with their mother, we’re made to plug into nature. 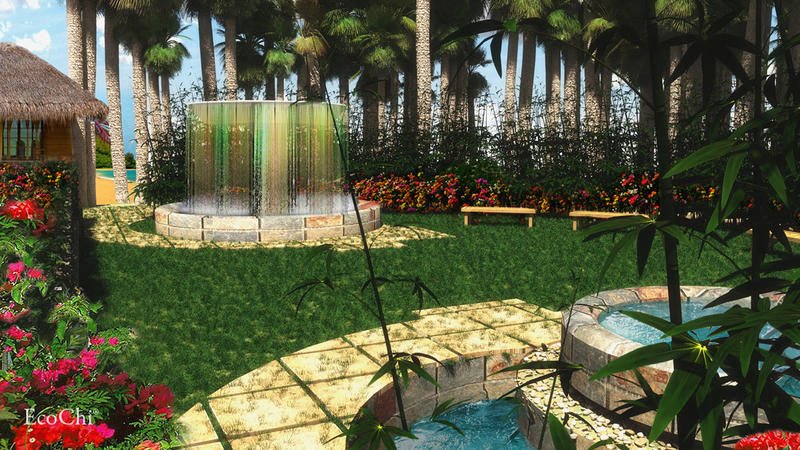 Reconnecting with the outdoors by using natural stone helps alleviate tension induced by frenetic living. 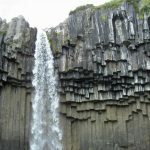 Natural stone comes from the earth in countless colors, textures, patterns, weights, and thicknesses. Because it is a natural material, it also promotes calm and healing, making it ideal for producing tranquil spaces. Limestone Tiles. Photo Courtesy of EcoChi. When designing for wellness, Duneier recommends deliberately combine design standards related to layout and flow with earthly elements like natural stone, wood, and plants. “Every design process requires parameters and on should incorporate green and sustainable materials. Also, when you’re designing your space as a healing environment, make it as toxin-free as possible,” she says. Do this in both interior and exterior spaces. Purposeful space design creates the healthy feelings you’re trying to evoke. “When you bring natural stone into an environment, you feel grounded,” says Duneier, a Graduate Gemologist, and Feng Shui Master Practitioner. “There’s a positive interaction between people and natural materials,” she explains. Because we are organic beings, natural materials like stone create an unconscious biological, mental, and spiritual connection between us and the earth. Conversely, she equates using synthetic products as primary design materials with consuming chemical-laden foods. “Your body doesn’t know what you’re eating and reacts negatively,” she says. “It also experiences environments full of plastics, resins, and other artificial components as foreign.” In both cases, your body is trying hard to figure out what those unnatural elements are so you can’t experience calm. 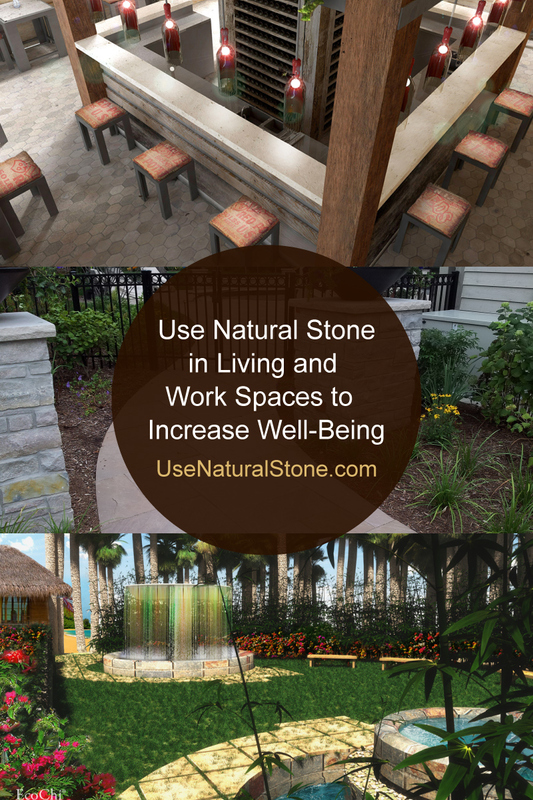 “Natural stone supports wellness because your body is in an environment that it recognizes and understands,” Duneier says. Slate Countertops. Photo Courtesy of EcoChi. Different stones evoke distinct experiences, especially combined with other earth elements. 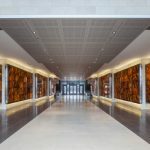 Selecting natural stone products based on aesthetics is important but it’s more essential to consider the home or work experience you’re creating. Duneier gives the following examples for guidance. Granite. 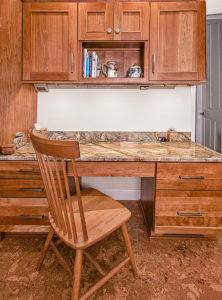 The hardness, density, and durability of granite generate protective energy and can make you feel secure. Use this stone when you want your home, garden, or workplace to feel this way. Limestone. With its healing energy, limestone is ideal for bathrooms that are being redesigned or remodeled to support a recovery from illness. Soapstone. Because of its energy, this durable natural stone is ideal for to creating a positive and calming environment. Commonly used in kitchens, soapstone is well-suited for art spaces or bathrooms, too. Quartzite. This metamorphic rock symbolizes positive change. 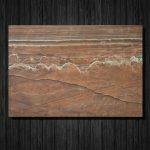 Use quartzite if you’re starting a new chapter in your home or business. 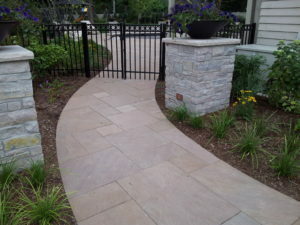 Harvest Brown Sandstone and Pearl Travertine and Marble. Photo Courtesy of Lurvey’s Supply. These factors are essential when incorporating outdoor elements into your interiors to elicit healthy emotions. 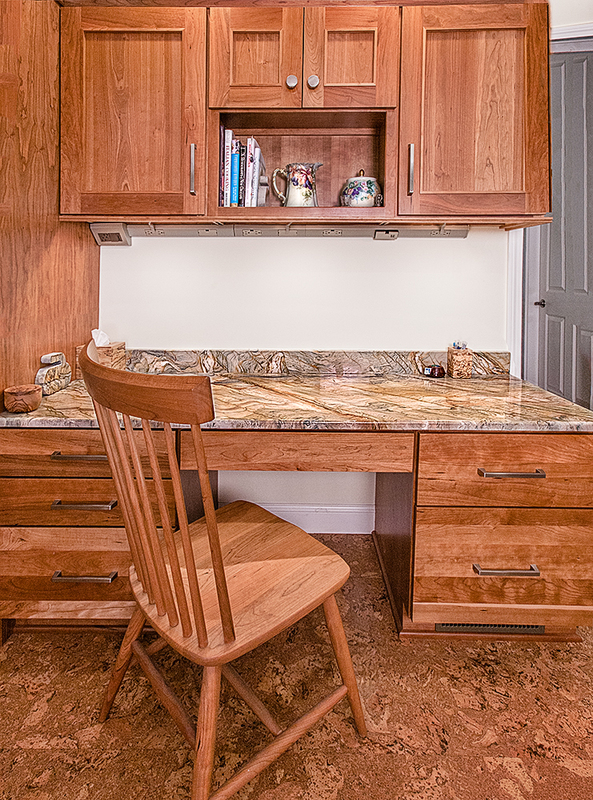 Balance your natural stone’s color with other elements in your space. Also consider its cut and shape. For example, put dark natural stones where you’ll be spending time reflecting. When installing charcoal, dark grey, or black stones, balance the rest of the space with lighter colors. If you are rational, meticulous, exacting, and clearly define boundaries, you’ll feel supported by the metal energy released by grey or white. Pure white marble symbolizes purity and immortality. “It’s ideal for a studio space and can relieve stress and anxiety in any form,” states Duneier. 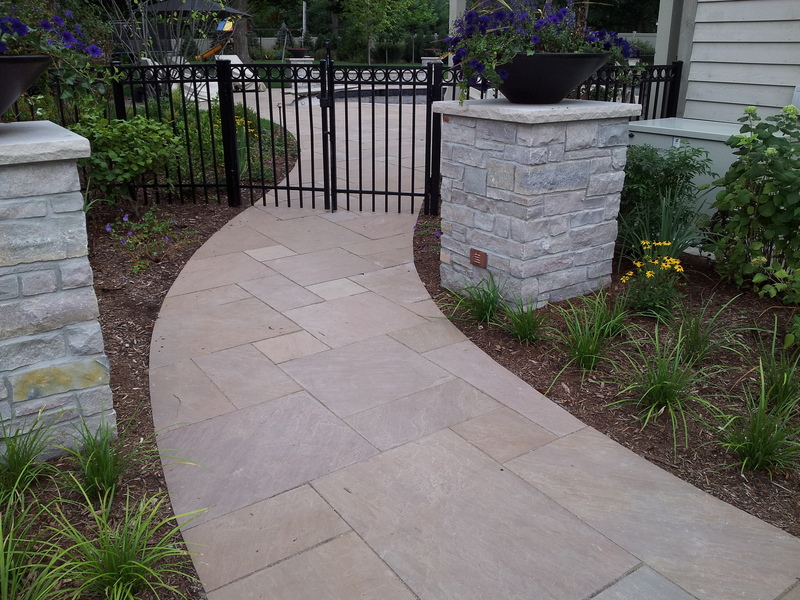 Bring medium brown, beige, or yellow natural stones into your environment to feel sustained by the earth. These are great in kitchens, but their earth energy is also ideal for exterior settings that include grasses, trees, and water features. Duneier suggests avoiding red, terra cotta, and orange stone. “Their fire energy can ignite passions and arguments, especially in the kitchen. When you have your stone cut, consider making the edges curved, not sharp.” Knife-like edges represent danger, she says, while round ones represent calm and safety. Green and sustainable natural stone products and installation processes are good for your body and the planet. Creating an environment that supports well-being requires carefully choosing all design products and materials. Your architect or designer should develop your space with your safety and well-being in mind.